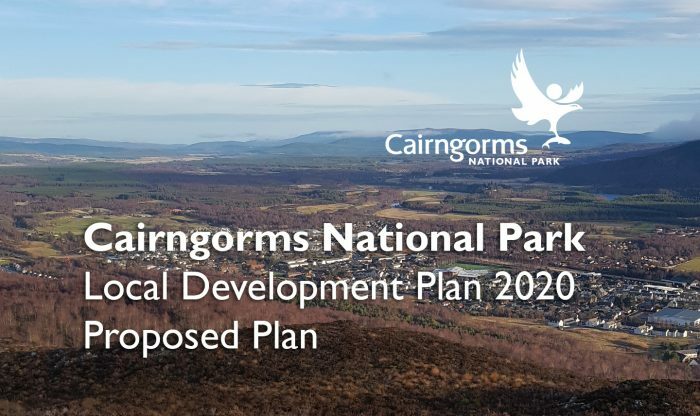 The consultation on the Proposed Local Development Plan (LDP) for the Cairngorms National Park has now closed and officers at the Cairngorms National Park Authority would like to thank all those people and organisations who took the time to respond. The CNPA has prepared a Proposed LDP which it believes will help ensure there is sufficient land for housing, jobs and services while protecting the Park’s environment. Now that the 12 week consultation period has ended all the comments received will be collated and assessed before the Proposed LDP and all the consultation responses are sent to Scottish Ministers and subject to an Examination by an independent Planning Reporter. Following the Examination, the Reporter will make recommendations on how the CNPA should proceed with the LDP before it is adopted formally in 2020. All local authorities and National Park Authorities must prepare a LDP which directs development within an area for a five year period, setting out land allocations to deliver appropriate development in the right places and policies that will clearly help guide future decisions on planning applications. The Cairngorms National Park is the largest National Park in the UK and a significant tourist destination attracting 1.8 million visitors each year. As well as being home to 18,000 residents, the Park is a haven for rare wildlife and its landscapes and habitats are of national and international importance. As well as allocating sufficient land for development to support vibrant communities, the next LDP has to ensure that any new development conserves and enhances the Park’s special qualities to maintain it as an attractive place to live, work and visit. © 2015 Cairngorms National Park Authority. All Rights Reserved.